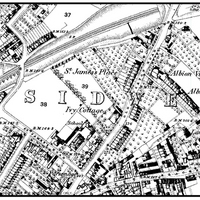 Many of the features on this map would be as recognisable today as they were when it was made in the early 1890s, but there is one notable absence… Before it was a ‘park’, the area was a ‘place’, and for hundreds of years the site was used for the grazing of livestock for agricultural purposes. That was to end when organised sport began to take over, and while Initially it was the rugby scrum that replaced the cattle herds, this was soon put in to touch by Association Football. 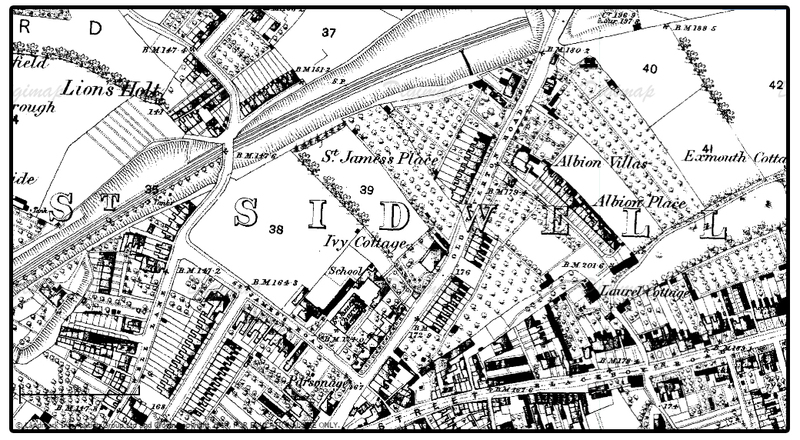 The first report of a match being played on this site comes from the October 6 edition of the Devon Evening Express 1894, meaning that this week marked the 120th anniversary of football at SJP. 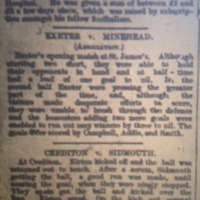 The article itself gives details of the Exeter Association Football Club, also known as ‘the City team‘, beating Minehead 3-0… a solid result given that they started the match with nine men! In the years that followed a succession of teams including Exeter United and St Sidwell’s United used the field for matches, before ECFC was formed and made it their home in 1904.